From the pure solitude and remoteness of Ochlockonee River SP, we drifted back toward civilization. Our last two weeks in Florida had been a mix of touristy activities, hiking, canoeing and family visits, complemented by a variety of weather ranging from sunny skies to thunderstorms with pouring rain. That’s Florida for you! I hope Steve doesn’t get sunburned! Along the Florida panhandle is a 24-mile stretch of sugary white sand and emerald waters facing the Gulf of Mexico. 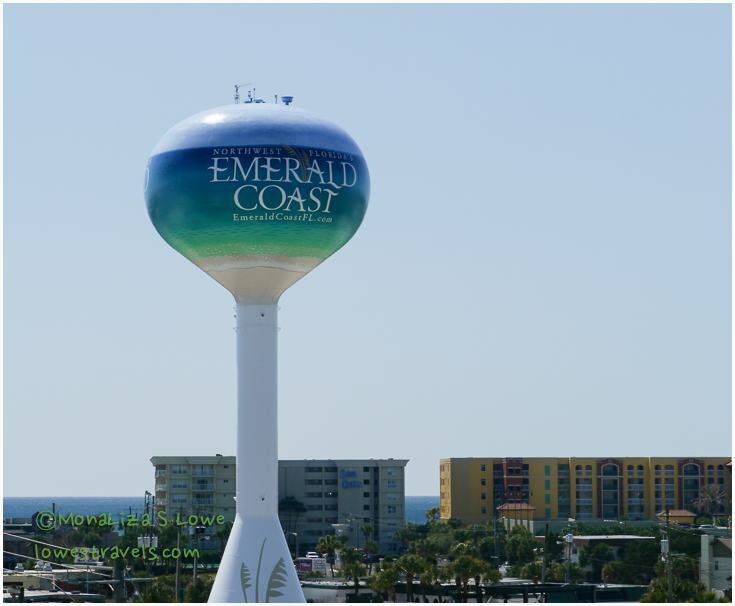 The sand was created of pure Appalachian quartz, giving the water its trademark emerald green color as it reflects sunlight, hence the moniker Emerald Coast. Had we stopped at this stretch of beach last year, it would have easily made our list of favorites. But alas, we drove right by it on our way toward Perdido Key. 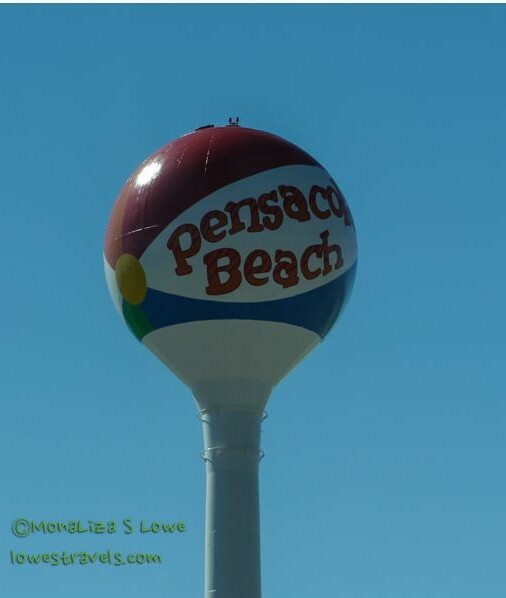 We’re glad we took the opportunity to check out this beautiful area between Pensacola and Destin this time through. 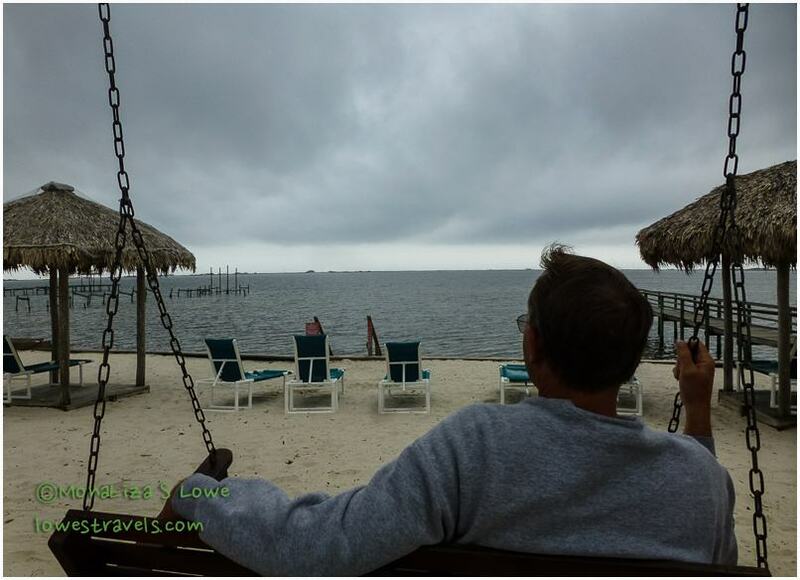 It was at the Harbor Village in Destin that Steve saw a water activity that really got his attention. 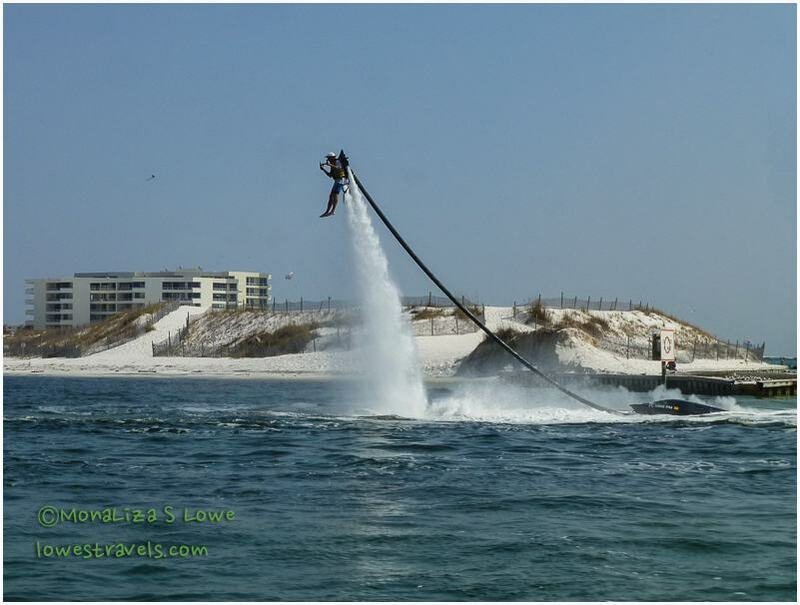 I knew that look in his eyes when he realized they were renting water jetpacks here – he HAD to try it. So he signed up for the mid-level “flight” experience, and off we went on their boat to the training area. There’s only so much you can learn in 30 minutes, but after a couple of “crash and burns” into the water as he figured out how to balance and turn correctly, he was up and flying along. The photo below shows him “walking on water”, which he got pretty good at. He also did the “submarine” several times, which is where you dive under water and then the jetpack pops you back up in the air when you surface. Although the jetpack will levitate folks up to 30 feet in the air, he was limited to only about 5 feet during his first lesson. You can probably tell he enjoyed it! Steve’s instructor flying high – here’s how the pros do it! 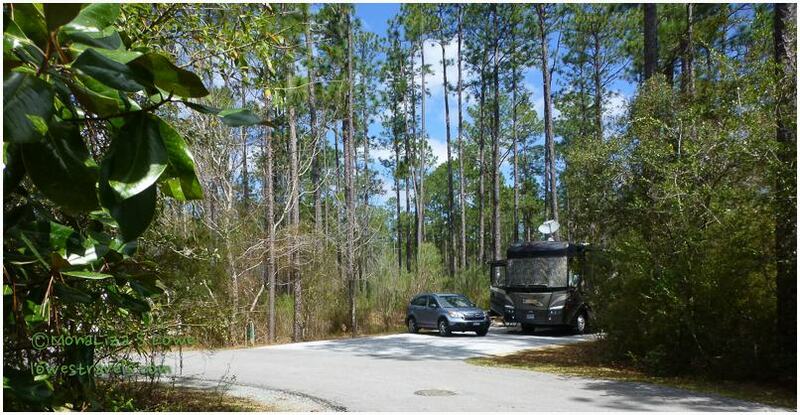 Our final Florida home base, and the only other state park for which we were able to get a reservation, was Blackwater River State Park (Steve’s review is here). Like Ochlockonee River SP, we camped under a canopy of longleaf pines in a very spacious site. But unlike Ochlockonee, our solitude here was unfortunately interrupted by heavy helicopter traffic during the day on several weekdays. We later learned that the helicopters were from a nearby military base and were doing training exercises in the area. Bummer! The dark tannic water that gives the river its name is a sharp contrast to its sandy bottom, white beaches and large sandbars. This was very evident as we leisurely paddled and floated along one day in a rented canoe. The snow white sand bars here are very similar in appearance to the white beaches of the Emerald Coast. We learned that Blackwater River is the only sand-bottomed river left in the United States, and it averages only 2.5 feet in depth. Too shallow for boats, but perfect for canoes and kayaks! We were happy that our longest hike in Florida finally happened here. 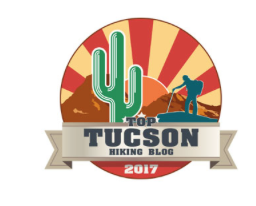 Our GPS showed that we covered 12 miles, and there were some elevation changes that gave us more of a challenge. 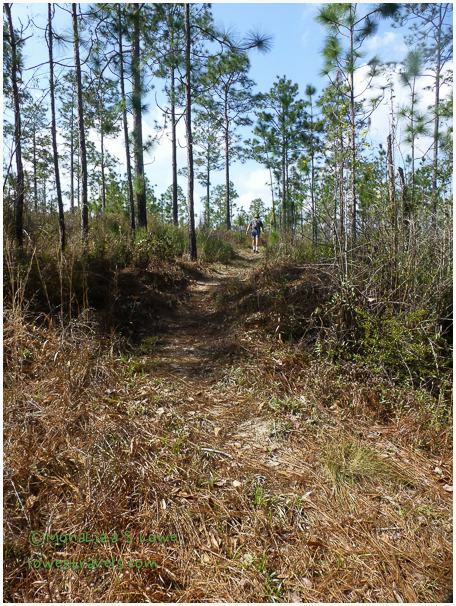 We encountered three snakes on this trail, but not much other wildlife. Finally some hills – we’re going to feel that in the morning! This guy got our attention! Well, four months of exploring and wintering in Florida zoomed by quickly. We discovered that the state has much more to offer than we had imagined. So many things we discovered – the beaches, fresh-squeezed juice, thousands of birds and other critters, the Everglades and the Keys – did not fail to impress us. But what was more impressive was experiencing the “Real Florida”, which we were previously oblivious to. Our exposure to wildlife and enjoyment of the havens of beauty at the preserves, refuges, pristine rivers and springs were amazing and unforgettable. And most importantly to me, the birding experience was superb! 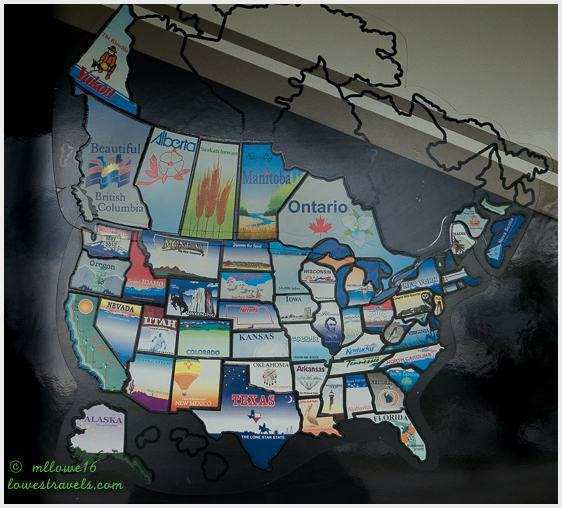 This map shows our coverage of Florida during our 4-month stay here. We ran up just over 1,500 miles during our 12 stops, and feel like we covered most of the state fairly well. Meeting new friends and reconnecting with old ones put the icing on the cake, and completed the whole experience for us. What we won’t miss are the humidity and the “no-see-um” bugs that bit us and made my life miserable for several days – apparently I’m allergic to them. Well, that wraps up our winter in Florida. We hope you enjoyed riding along, and that our stories gave you a few ideas in case you come this way someday. So glad you enjoyed Florida, the Wildlife Refuges are the best! Eeeek! What a rush of adrenaline activity. That’s very close to being a whale. 😀 … or ehem … Jesus. 😀 Now I am left to wonder if they have that jet pack thing here in Cali. I’m no good in water, but that really looks like such a thrill. 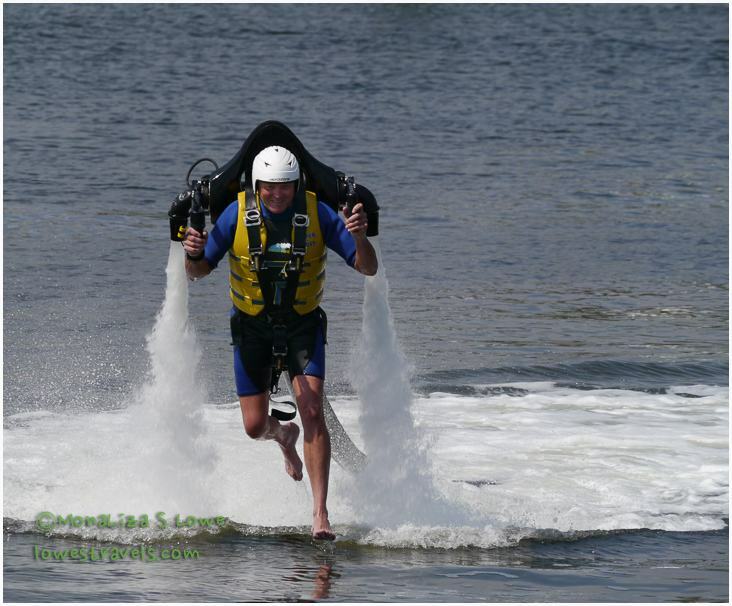 Rommel, yes there is jet pack in San Diego, check it out. The jetpack looks awesome!! What a fun adventure. Say hi to Steve for us. Yup it was, and Steve says hello as well to you and Bob. Ah – Back in my old summer stomping grounds – the PanHandle of Florida. Your pictures are phenomenal – as usual. That jetpack looked like something – its a new one on me – had no idea there was such a thing! Thank you Ayn, Steve had a blast as you can tell from his face. 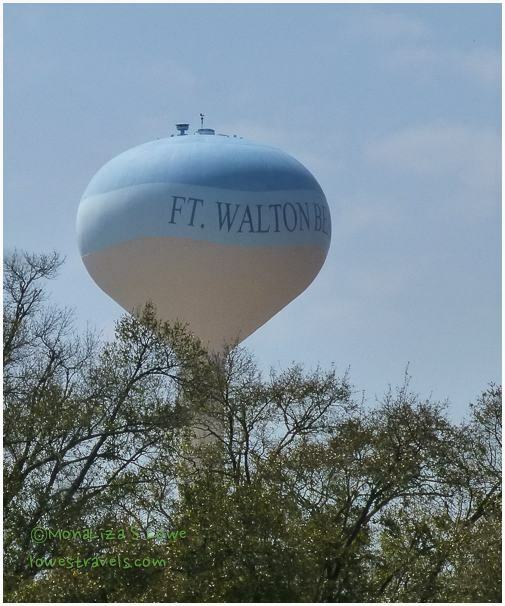 Guess what we may be passing into your hometown in Alabama. What a blast Steve must have had with that jetpack! Terry is on board for that kind of adventure. The beaches in the panhandle are just beautiful. We will have to come back at a time when the weather is warmer. When we stayed at Blackwater it rained the entire time. Thanks for the great tour of Florida and all the helpful tips. Steve did enjoy the jetpack and I may even do it when there’s a chance somewhere. The beaches at the emerald coast are the best, too bad I did not have a chance to dip into it, it was just too brrr cold. I’m wondering if it warms up much before summer in that part of FL. We had temps in the 30’s and 40’s when we were there. You certainly did Florida justice. You’ve had a great tour. That jet pack looks like fun. Go Steve! Yes we did. And now that we are on the move maybe our path will cross. Unless of course you are still hanging out West. We are in Arizona. For now. Would love to meet up. I’ll keep my eye on your travels. My posts jump around all over the place. we agree that Florida has so much more to offer than one might think! I think I want to jet pack too! What a thrill! We enjoyed your travels right along with you thru your wonderful photos and descriptions. Really excited to see what adventures you have coming up! Safe travels MonaLiza and Steve! Gay, i think you will enjoy that jetpack. Next time it will be my turn to walk and fly on water. The panhandle is a super area. Thanks for the added info, there are many places you HAVE given us some great ideas for future FL time. The panhandle is I think where the beautiful beaches are. And there are state parks along that area as well. Glad you had such a great time exploring FL. That is a great header photo!! Steve’s face tells us exactly how much fun his jet pack ride was. He got quite a bit of height in that second photo. I remember seeing those space age houses on a motorcycle ride when we stayed in Destin. The sand and water are gorgeous along there. Super photo at the end:) I’m with you on leaving the humidity and no-see-ums behind!!! That jet pack is fun, and next time it will be my turn probably out west 🙂 Those space age houses are interesting especially the third one with aliens looking out at the door and windows. The beaches here are the best, too bad it was too cold to take a dip. Great photos of a beautiful place. Sounds like you had a great experience. What kind of snake was that? 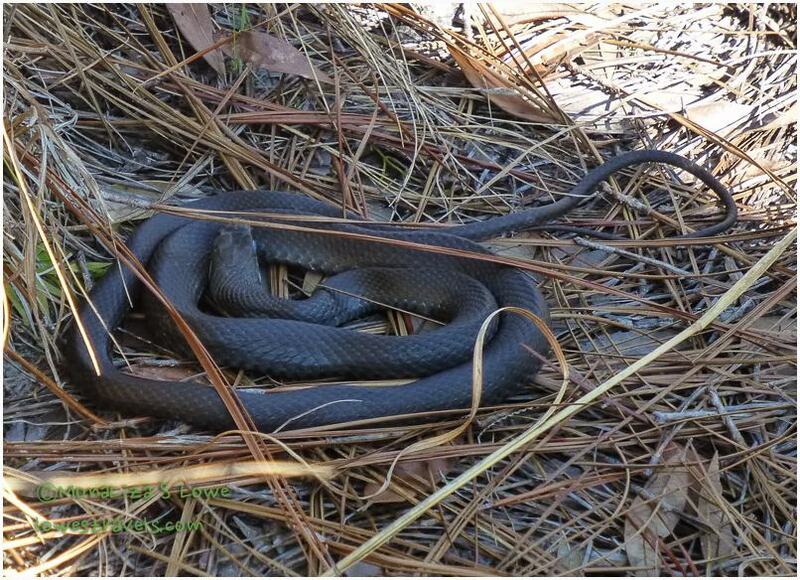 I think the snake is called Southern Black Racer. I think this may have been the snake my grandfather used to tell stories about. It is very fast. Thanks, I believe that is the species my grandfather used to tell a story about. They move very fast and can be aggressive if cornered. WoW! You sure know how to have a good time. Thanks for sharing your beautiful photos of Florida. I can’t wait to go there some day. 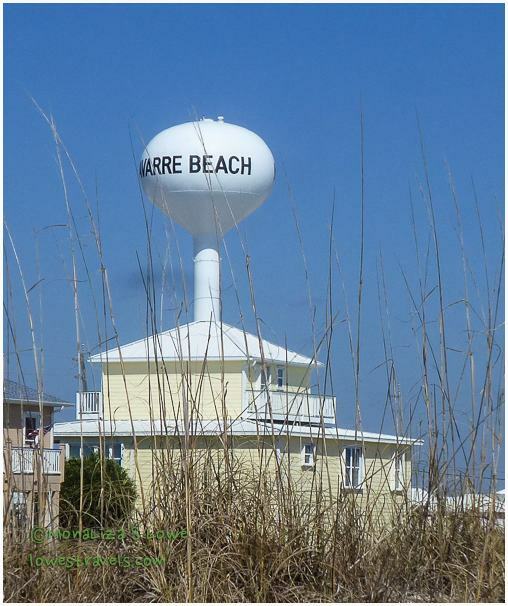 Marcy, the panhandle area has the best beaches, you’ve got to visit it . Your welcome, Ingrid. We did have fun and great times in FL. By far the emerald coast has the best beach in the state. There were state parks nearby but were not able to get a site. I meant to say the Header photo is cute. Duh! Cute photo. You should have it as the last photo of the post and label it The End….hehe But I like your last photo better. Oh my gosh, we have never seen anyone use a jetpack. Looks cool to watch, but I would never do it. You two did a great job of taking us along on your Florida adventure. Safe travels. Marsha, thanks to you I moved the header photo and made it as an ending photo on the post. You two did a fabulous job of exploring Florida and sharing your adventures. 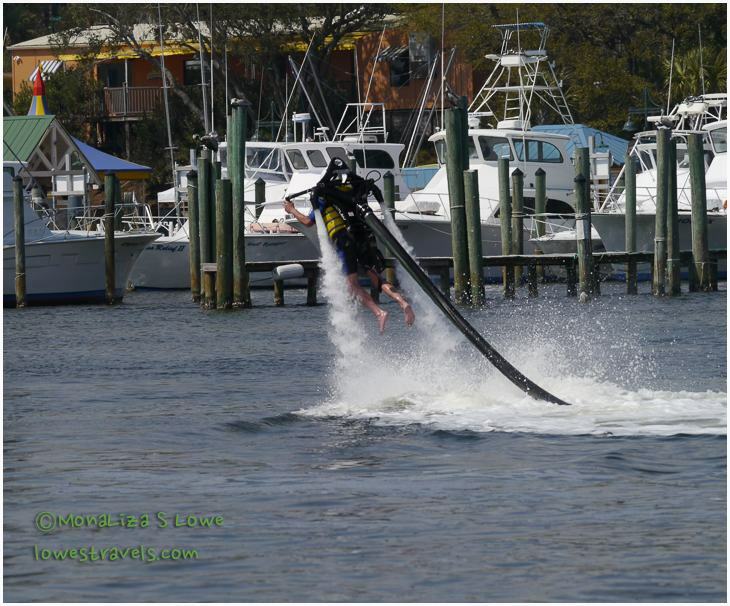 As a native Floridian, it makes me very happy that you have such a great appreciation for the uniqueness of the “Real Florida.” I had to laugh at the water jet pack — I’ve never heard of such a thing! That’s a different kind of wild. 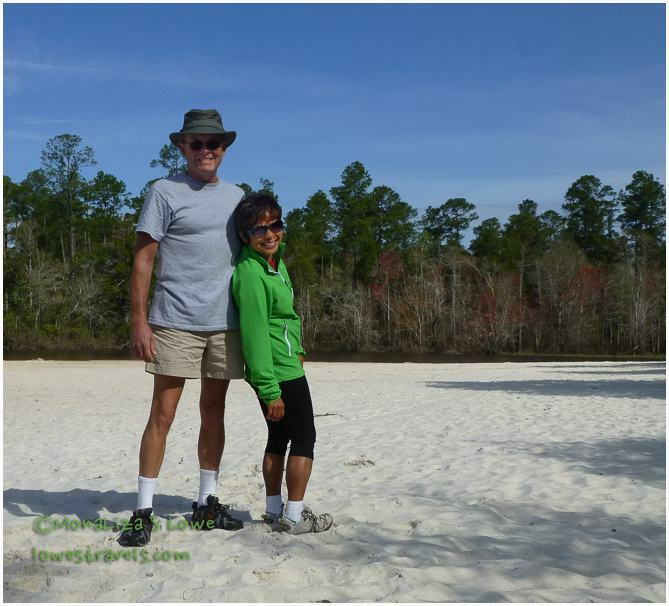 😉 Wonderful photo of the two of you on the beach at Blackwater River. Thanks Laurel although we missed a few more real Florida stops. Next time it will be my turn on the Jetpack, Steve was thrilled to be on it. Thanks so much for taking us along on your Florida discovery. We’ve spent a lot of time in this state in the past, but you’ve showed us new things to see and do. You are so welcome Sue and Dave. You were one of those friends that completed our visit. Let’s have more of those happy hours down the road. OK! The jet pack thing is on my list. Hoping to spend next winter in Florida. You’ve shared many possibilities, things to do and places to go – kind of like a tour guide for things to come. Thanks…. Tom, these area is popular, get your reservations way ahead of time. The Henderson State Park is also nearby. Glad we gave you some ideas on your future visits. Yeah, Steve had a thrill on his jetpack.